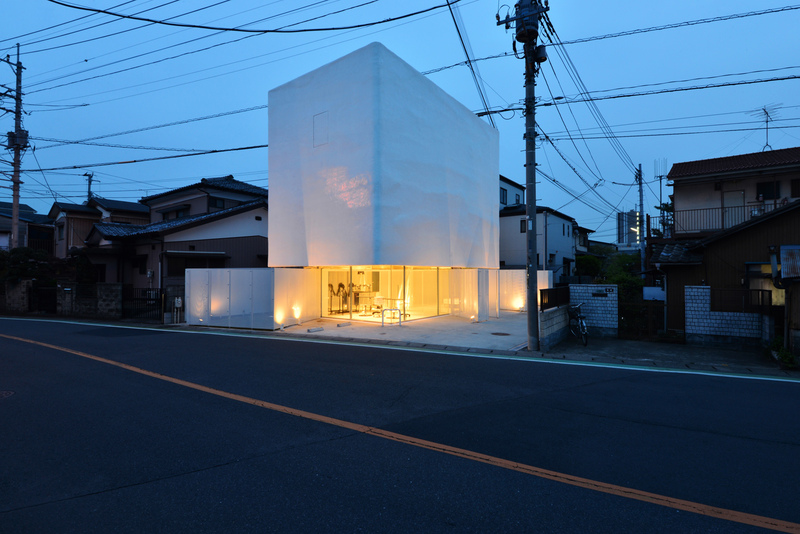 This Japanese salon and residence is the work of Atelier Norisada Maeda. The salon is street level and illuminated more than anything else on the block, inviting customers in with a warm glow. The two-story home above the salon sits like a tank, protecting its inhabitants from the street. The white surface of the upper floors look smooth, but upon further review the texture is more like a rough pottery finish. The resulting effect is in a floating box of sorts, something that differs dramatically from anything else nearby. We enjoy exploring and sharing international design, especially projects as unique as this. Do you think the separation of salon and residence is effective? Comment below.